The internet has proven to be a very useful tool for many people of all ages wherever they are in the world. It has helped make people’s lives easier and more convenient. In terms of communication, for instance, it has connected people of varied nationalities and enabled them to communicate in real time. When it comes to doing transactions, the internet has also made it faster and more convenient. In fact apart from doing financial transactions, people can now accomplish certain legal procedures online. One of these is filing for divorce. Filing for divorce online is ideal for couples who don’t have the extra funds to hire a lawyer to process their petition for the dissolution of marriage. This option can also lessen the emotional stress that normally comes with a court process requiring payment of huge legal fees and presence of the parties during trial. Reports have noted that more couples these days are using mediation and online services to cut costs. It should be made clear, however, that this route is not free as couples still need to pay the basic court fees (filing the divorce petition and the issuance of the final court decision) and for the process of sorting out financial or child care arrangements. It is possible nowadays to file for divorce without the assistance of a lawyer. You just need to use an online service that will help you prepare your documents. However, this route is only for spouses who agree on their divorce conditions such as how they will divide their properties, whether one spouse will provide alimony and arrangements on child custody and support. This is known as an uncontested divorce which means are in agreement and have decided to end their marriage in an amicable manner without the involvement of a third party. 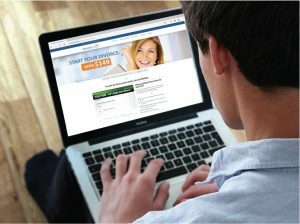 Online legal services are now available to help divorcing couples with low incomes and many of them offer a satisfaction guarantee. They can cut the cost of filing for divorce significantly from the thousands of dollars charged by an attorney ($2,200 normally) to just $300 for those with no children. When using this type of legal service, the spouses will be asked about details of their divorce situation through a questionnaire. They can also include in the form their request for child support, custody and alimony. Once they have filled out the questionnaire and sent payment, the divorce service will then prepare the necessary documents in accordance to state and federal guidelines. After the service has prepared the forms, it will mail or email them for notarization and filing. The signature and seal/stamp of a notary public or a person authorized to certify documents is required for an uncontested divorce. While there’s no need for a court appearance in this case, sometimes a judge may need to speak to one spouse or both parties. It’s very important for couples to learn about the divorce information they need so they can decide which route to take. These online divorce services are not to be mistaken as legal counsel because they exist to help spouses represent themselves without spending so much. They are not suited for those in a contested divorce situation which can be complicated and requires a trial. Some states in the U.S. allow the online filing of divorce but make sure to determine their specific requirements such as the filing fee and other extra fees involved. You can check the website of your state court or contact your county clerk on how to file your documents and how to fill out the divorce forms online. The clerk of court can also assist in checking the information you have provided in your papers.